My Kinda Art: Don't cut, just paste! Hello and welcome! This week is all things paste over on the Simon Says Stamp Monday Challenge Blog. 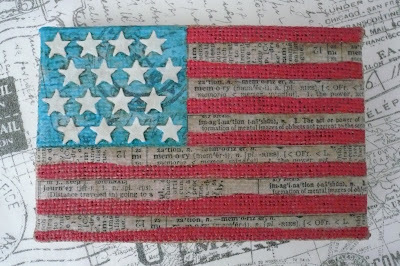 For the upcoming 4th of July holiday I wanted to create a mini flag. I started with a 4 inch x 6 inch bare burlap panel and the star of the show, texture paste. Including drying time this project took a couple of hours. I love how it turned out! Thanks for stopping by! This is an amazing creation! I absolutely LOVE how it turned out! I had to look really close to believe that was burlap because you transformed it into something much cooler than normal burlap. 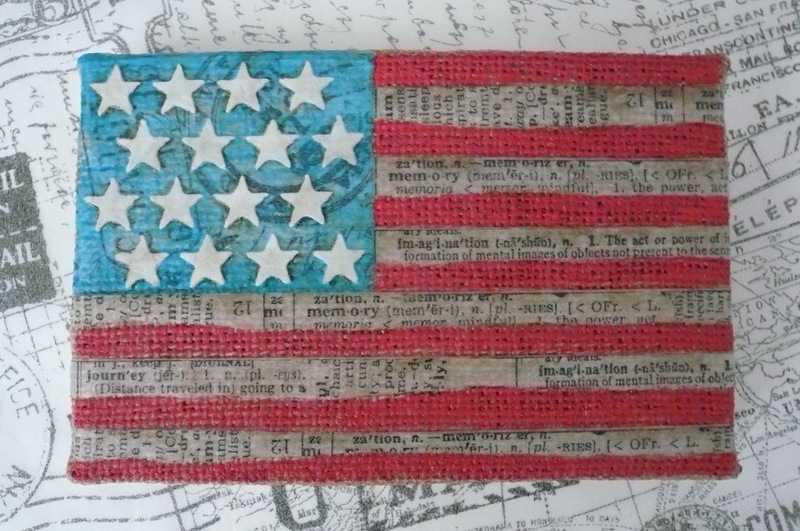 I love how you combined so many elements like the paste and the tissue tape and those stars are incredible. I also really appreciate the tribute to the flag, which is a symbol close to my heart. Thank you for sharing such an inspiring piece and for sharing your talents with us for this week's Simon Says Stamp Monday Challenge!